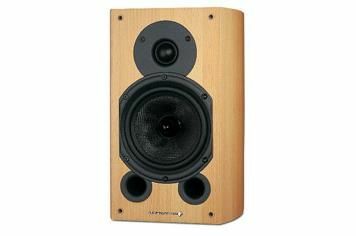 Wharfedale Diamond 9.1 review | What Hi-Fi? These delightful speakers have twice won Awards in their price category, and in 2005 were our Product of the Year in the stereo speaker category – an achievement not to be sniffed at! So why do we like them so much? Well, let's start with what really counts, the sound quality – the main selling point of any speaker worth its salt. These Diamonds 9.1s make a mockery of their £180 price tag – they're worth every penny and then some more. Driver integration is near-perfect, the 13cm Kevlar mid/bass unit and 25mm textile tweeter working in unison to produce a wonderful, balanced sound. The delivery is very clear – though perhaps some rivals have the edge here – but the Diamonds can open up a sensitive track like Nina Simone's Tomorrow, laying bare an impressive amount of detail for the listener. With Camper Van Beethoven's Take the Skinheads Bowling, the Wharfedales breathe assurance. Academic and analytical in their focus and attention to detail, the 9.1s nevertheless retain all the humanity necessary to engage the feet as well as the head. From the top end (distinct and substantial) to the bottom (punchy and well controlled), the Diamonds' self-possession brings order to even the most complicated material. They can drive a tempo, ease back when required and instinctively balance voices just so. If we had to criticise these speakers – and let's face it, that's what we're here for – it would be for the slight impression that singers' vocal range is a bit restrained. It's only a minor criticism, but it's there's nonetheless. Last, and certainly not least, the 9.1s also look and feel like far more expensive speakers. Forget the bog-standard box design commonly used for budget boxes – these elegant standmounts boast curved, braced cabinets, cranking aesthetic appeal up a notch, and also helping reduce unwanted cabinet vibrations and dissipate any standing waves produced by the mid/bass driver. These have long been the best loudspeaker under £200, and while there's no shortage of competition in this sector these days, the Diamonds still sparkle.